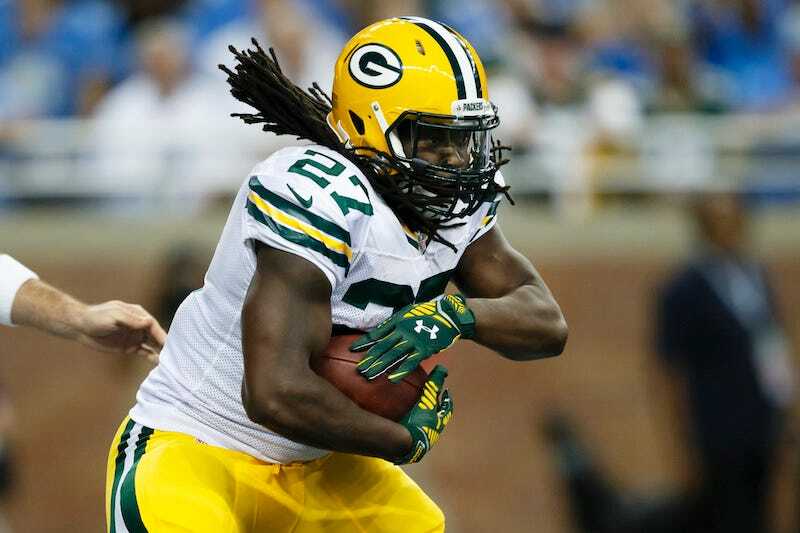 Lacy began his career in Green Bay with back-to-back 1,100-yard rushing seasons. He then rushed for just 758 yards (on 4.1 yards per carry) in 2015—after which head coach Mike McCarthy publicly called him out for his weight—before an ankle injury limited him to just five games last year. In Seattle, Lacy looks like he could be reduced to a running back-by-committee role. The Seahawks already have Thomas Rawls and C.J. Prosise, and they’re reportedly still scheduled to meet with free agent Jamaal Charles on Wednesday. The NFL has become much more pass-happy in recent years, and the shelf life for running backs just isn’t what it once was, as Lacy’s swift decline demonstrates. The constant punishment of being an every-down back seems to take its toll faster than it used to, and the job increasingly requires the ability to catch passes—and to line up in the slot or out wide. Running backs are also increasingly easy to replace with younger, cheaper options, either through the draft or via the undrafted scrap heap. The Cowboys took Ezekiel Elliott No. 4 overall last year and watched him win the rushing title. But Dallas already had the rest of its offense in place, including what was arguably the league’s best O-line, which made Elliott a good fit worthy of such a high pick. At the other end of the spectrum is Todd Gurley, who went from offensive rookie of the year in 2015 after being drafted No. 10 overall to averaging 3.2 YPC last season. Leonard Fournette is the Next Big Thing in this year’s draft, but his NFL future will likely depend on which team drafts him—and when.